Features: Description: Elegant. 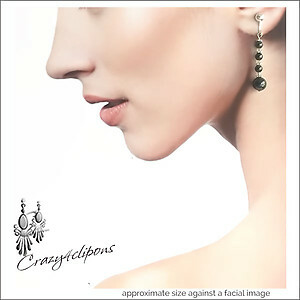 This pair of clip earrings feature hematite round beads which comes to life when paired with Silver findings. Choose them with & pierced-like clip-on closure which elongates the front view and compliments the soft, delicate build of the jewelry.